Peaceful experience close to nature and cute animals! The nature farm is tucked away in quiet district of Lenggeng, and houses a family-friendly zoo offering all visitors the opportunities to pet the animals. lot 1556 Mukim Lenggeng 71750 Negeri Sembilan. What to expect? 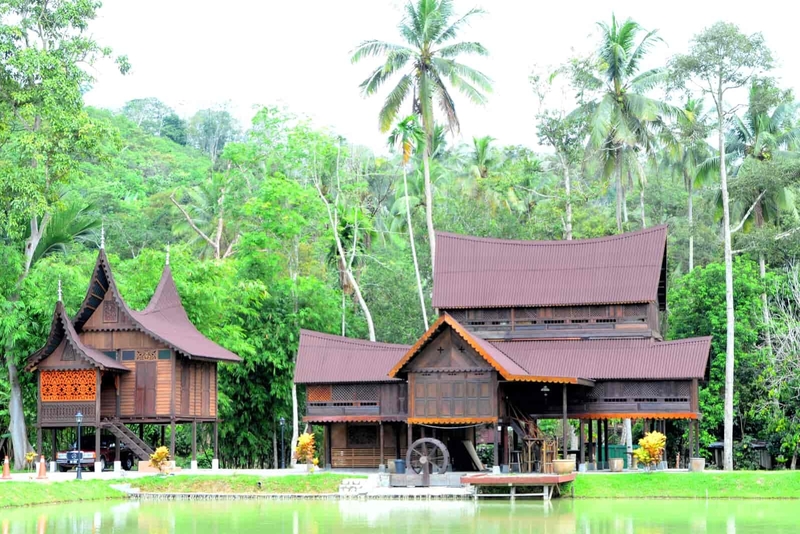 Located in the quiet countryside of Lenggeng, the Lenggeng Eco Agro Farm is just half hour away by car from Seremban, the capital of Negeri Sembilan. Though it may be seem isolated, you’ll be in for a treat when you arrive there. The Lenggeng Eco Agro Farm is a nature farm housing a petting zoo as well as Rabbit Fun Land. Here you can find all types of cuddly and cute animals such as ponies, monkeys, bird, goats, deer and a whole pen full of rabbits! It is a family-friendly zoo, where children are encouraged to interact with the animals and pet them, making it a memorable experience for your kids! While you are in the area, you can explore other exhibits located in the farm such as the Lenggeng Hanging Bridge, Rabbit Rock Garden and Dairy Cattle to name a few. You can also purchase small tidbits such as carrots to feed the animals by hand. Be sure to bring a camera with you too as it is a great way to get up close and personal with these adorable beings. Comfortable clothing as you will walk around the farm. Proper shoes. Avoid wearing sandals. Enough water to keep yourself hydrated. A restaurant-cafe serving light meals and drinks. Follow the instructions of the staff at all times when you are inside the farm. Take extra care when feeding the animals so as not to harm the animals or yourself. Keep children within eyesight and don’t let them wander off on their own. Babies and children under the age of 2 can enter for free. Entrance fees for both adults and children is RM 8. Apples, carrots and pellets which you can feed to the animals cost RM 8, RM 10 and RM 3 respectively. You can obtain tokens for the pony ride at the price of RM 8 per token at the counter. 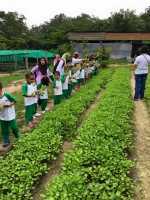 If you wish to make your trip to Lenggeng Eco Agro Farm, it is only open to public on the weekends and Malaysian school or public holidays. Be sure to make your arrangements early. It will be a lot easier to explore the farm on your own free time and do a self-guided tour here. You can rent a car or use a ride-sharing app to get to this farm over the weekends. From Seremban, make your way here in the morning so you will have enough time to enjoy walking and exploring the farm.